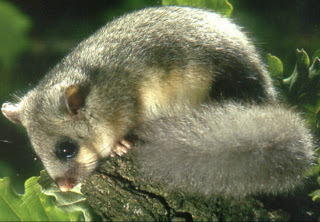 I Spy Animals: So who cares about Edible dormice anyway? So who cares about Edible dormice anyway? So why a blog for kids and educators about recognizing different animal species? At the least, it's fun and interesting to see differences in animals and be able to "name that animal"! Searching for and spotting differences is similar to an I Spy or Where's Waldo? game. How many hours have kids spent poring over those books to root out the different items? Find the turquoise cats-eye marble somewhere in the town made of every kitchen utensil imaginable. Kids can do this, no problem; in fact, they love to do this! So let's take this propensity for detailed search and point it toward something more rewarding; let's direct it toward seeing the differences between similar animals. "Animals are fascinating for children and adolescents, e.g. in Norway animal-related activities received high scores, such as bird feeding (74%), or watching hare, fox and moose (63%). Watching TV programmes received an almost similar proportion compared to learning about animals in schools (Bjerke et al. 2001)...(But) many educational practitioners and conservationists claim ... a significant decrease of species knowledge in today’s children and adolescents." "...Children have serious problems with classifying animals (e.g. Bell, 1981) and they often incorrectly classify vertebrates as invertebrates (e.g. Braund, 1998) or birds as non-bird species (Trowbridge and Mintzes, 1988, Prokop et al., 2007)." There is a balance to the make-up of the world and the extinction of species upsets it; sometimes to the detriment of ourselves. For example, what impact would a newly extinct animal have on, say, the economy? Closer to home, identifying the birds and insects around us is a real-life I Spy that most kids, mine included, love! Using Spotter's Guides, Google, or field references to identify observed species teaches children to examine what they see critically, search for and analyze information about what they've seen, and make decisions based on the information presented to them. And don't count out the personal satisfaction that comes with correct identification, and the empowering sense of knowing and accomplishment that accompanies such an occasion. It's a winning scenario in a child's life and perhaps a serious kick-start to an interest in the field of sciences in his or her academic and vocational future. And, like the study said, kids rated it as fun as watching a movie! So who cares about identifying dormice in general, and the Edible dormouse in particular? I do. We all should. Everyone cares!) But what you really should care about, it's that someone could be spying on you. Like here.